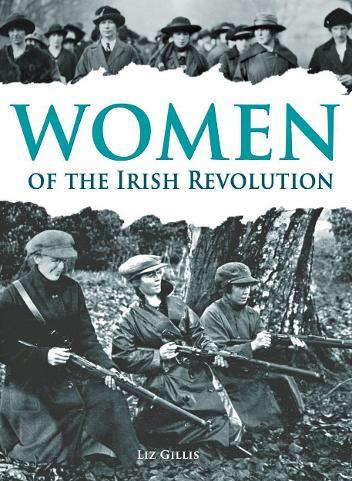 Liz Gillis, who has already three great books to her name, launched her fourth - "Women of the Irish Revolution" - in the newly refurbished Richmond Barracks Gymnasium on Thursday November 13, 2014. This was probably the biggest launch seen this year, with some 400 people in attendance. The book was formally launched by Mary McCauliffe, of Trinity College Dublin and the Women's History Association. She spoke about the changing perception of the role women played in the Irish Revolution, and the need to document this in a non-partisan way. SHe was fulsome in her praise for this new book, and for Liz GIllis as author. Liz herself spoke of how she was delighted that families had come forward with stories of lesser known women, and supplied photographs of them, and of how these families had fully supported her in her work. Liz said she was delighted to be able to acknowledge these women and what they achieved, often in the face of the greatest adversary. Colleagues of Liz from Kilmainham Gaol helped sell the book on the night, Copies were being sold as fast as possible, and it looked at one stage as if all copies would be sold but, in the end, less than a handful remained. Many of those who had supplied photos and information turned up for the launch, as well as politicians etc., and the launch was such a great success that it highlighted the public appetite for good, quality, unbiased books on the revolutionary period.... and it will be some time before we see the equal of "Women of the Irish Revolution". The book is published by Mercier Press and is in hardback - although we hear rumours that a paperback edition will be printed in 2015. It is a fantastic book, with many previously unpublished photos and stories told through a wonderful linking text by Liz. This is undoubtedly one of the most important books on the Irish 20th century revolutionary period to have reached our desk here at Kilmainham Tales, and breaks much new ground. It is essential reading and no library on this period can be complete without it. Once again Liz has set the standard by which all other books which seek to copy her will be judged.